Brazil is the fourth country of origin for tourists to the Riviera Nayarit under the heading “Other Nationalities,” in other words, countries that are outside of North America and the United Kingdom. The last press trip of 2016 to Mexico’s Pacific Treasure came directly Brazil. This group of journalists and influencers were focused on the luxury segment, which is why the Public Relations desks of the Riviera Nayarit Convention and Visitors Bureau (CVB) and the Puerto Vallarta Tourism Trust (Fidetur) gave them a tour of the top luxury offerings in the destinations. The results of the Riviera Nayarit CVB’s Barometer for the first semester of 2016 indicate Brazil is in fourth position under the heading “Other Nationalities,” which includes countries other than North America and the United Kingdom. The journalists in the trip included Fabio Martuscelli from Elite Magazine, Tiago Caramuru from 3em3, and Marcelo Villas Boas from Diario do Turismo as well as influencers Laura Kassab and Sandra Miqui. During their stay in the Riviera Nayarit they toured Sayulita to see the best of this Magical Village and take a surfing lesson. After checking into Higuera Blanca they left for San Pancho, where they feasted on regional organic dishes, visited the Entre Amigos Community Center and spent time at the luxurious La Patrona Polo Field. 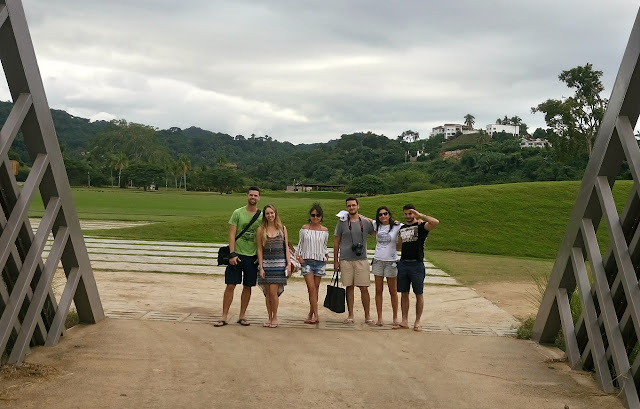 After touring La Cruz de Huanacaxtle they headed out to enjoy Las Islas Marietas, finishing off their trip with a visit to Punta Mita to experience it’s exclusive offerings, where they took a golfing lesson and played a short round.